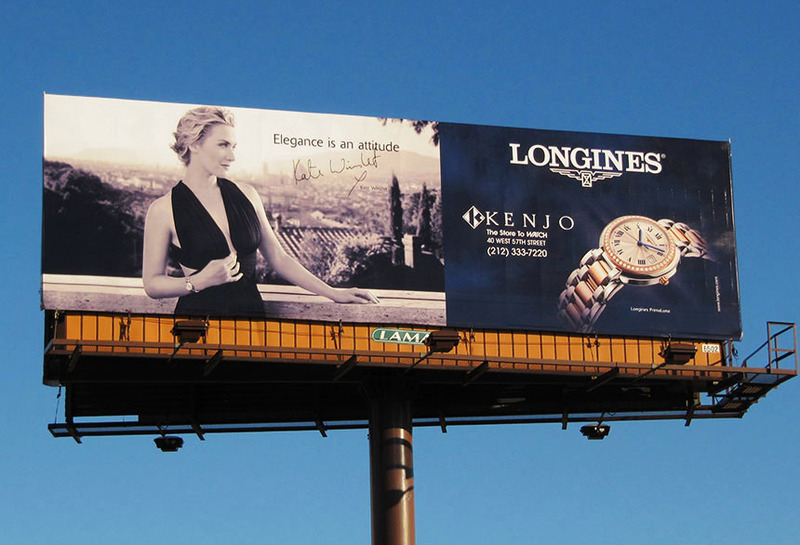 Longines watches ran a campaign using Lamar bulletin billboards. This creative was simple but effective by using a combination of a product image and a celebrity image. Passing drivers and passengers could not miss it!